My previous post was a profile of Perseus. Right next door in the current evening sky is Auriga the Charioteer, embedded right in the middle of the Milky Way. This is a 50mm “normal” lens shot of all of Auriga showing its distinctive pentagon shape with the bright yellow star, Capella, at top. It’s the bright star shining high overhead on winter nights, at least if you live in the northern hemisphere at latitudes like the US and Canada. What is not obvious (because it can’t be resolved through a telescope) is that Capella is a close double star, made of twin suns orbiting each other at about the same distance apart as are the Sun and Venus. A planet orbiting the pair would definitely see a Tatooine-style double-Sun sunset. Not to say Luke Skywalker was from the Capella system — remember Luke’s tale took place in a Galaxy far, far away! Capella is just 42 light years from Earth. What shows up here just below centre is some of the wisps of red nebulosity in the middle of Auriga (tough to see visually but easy for the camera to see), as well as the trio of star clusters first catalogued by Charles Messier in the 18th century and that are great objects for any telescope. 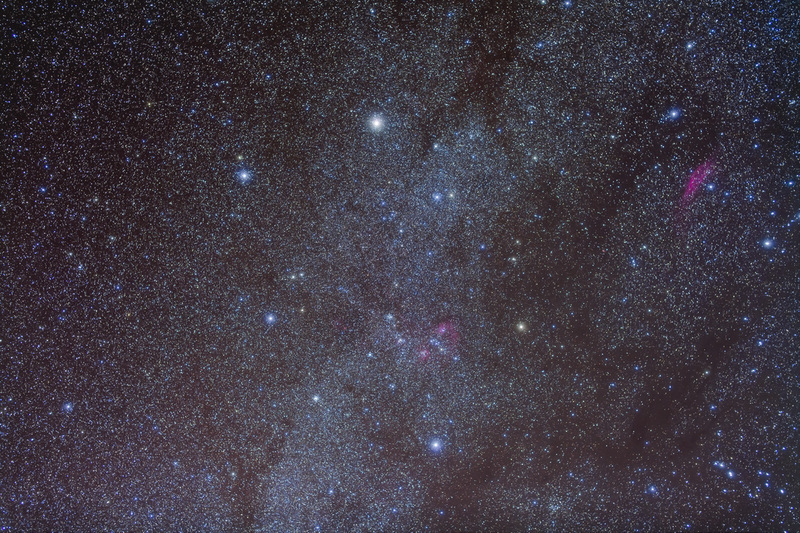 Notice how the Milky Way brightens through Auriga, partly by way of contrast to the lanes of dark nebulosity to the right that weave through Taurus and Perseus. The streak of nebulosity at right is the California Nebula in Perseus. 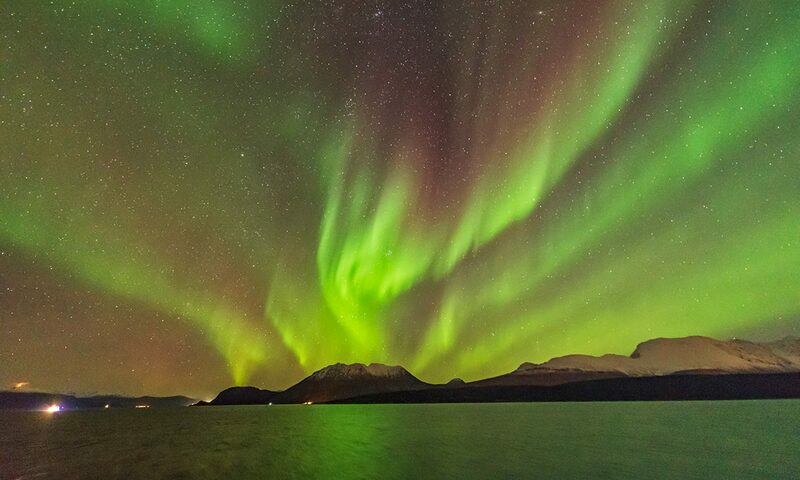 Flip back to the previous blog to see more of Perseus, in a shot taken the same night. I took this shot on January 23, 2011 (just about the last decent night we’ve had!) with the Canon 5D MkII set at ISO 800 and the 50mm Sigma lens set at f/2.8. It’s stack of five 4-minute exposures, plus three 4-minute exposures with the Kenko soft filter to add the star glows. The blog “Fuzzy Constellations” a few posts back gives some more details about my technique.